LAUNCHING projects in a challenging market is something that Gamuda Land, the property arm of Gamuda Bhd, is quite familiar with. In fact, the developer is doing just that now with two high-rise developments. 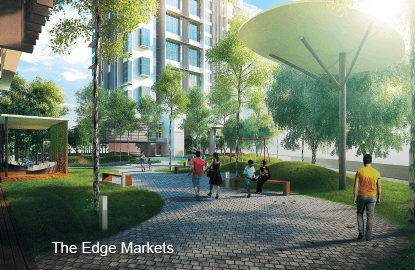 For its maiden Australian project in Melbourne, Gamuda Land has to contend with concerns of an oversupply of apartments that may hurt investment potential while its condominium in Kelana Jaya, Selangor, is being launched in a soft market. However, the developer is undeterred as it believes that it has the right product and strategy to attract buyers. 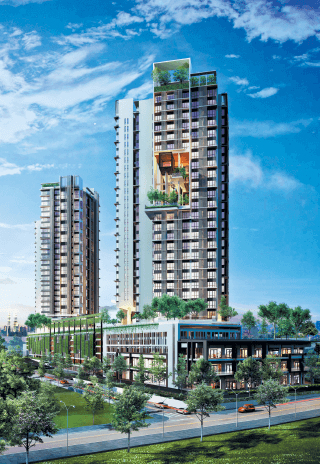 It is unveiling 661 Chapel St — the 30-storey tower that it is building in the South Yarra suburb — in Kuala Lumpur on June 27 and HighPark Suites — its Kelana Jaya project with an “elevated” park — in August. Last year, Melbourne was voted the most liveable city by the Economist Intelligence Unit for the fourth consecutive year. It isn’t surprising then that Melbourne is on the radar screen of Gamuda Land. A chance meeting with a 70-year-old Australian property developer who owned a 1,435 sq m plot in South Yarra opened the door to the Malaysian developer’s first project Down Under. 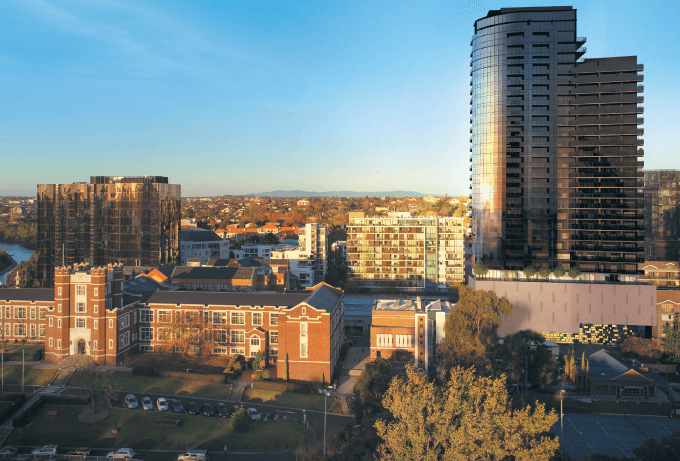 “We had been looking at Australia for many years but we wanted the right location and to satisfy the needs of our existing customers who were keen to invest in the continent,” says Gamuda Land managing director Chow Chee Wah, adding that the location of 661 Chapel St has good investment potential and will not only interest foreign buyers but also the locals. “If you want to buy property in Australia, you must find one that appeals to a foreign buyer, like you and me. It must also be right for a local to invest in or to buy from the foreign buyer when the unit is ready,” he explains. The plot of land was purchased for A$40 million last December and the project was named after its street address. As there was already a development order, Gamuda Land was able to start work quickly. Situated 4km from the Melbourne city centre and at the start of Chapel Street, 661 Chapel St is just a short distance away from the Yarra River and is next to the Melbourne High School. The street itself is well known, thanks to its many boutiques, nightclubs and eateries. According to RP Data, a property research and analytic company, South Yarra is about four sq km in size and had a population of about 19,144 as at 2011. The predominant age group there is 25 to 34 years and most of them are professionals. Chow says South Yarra is a mature and affluent area filled with mostly landed properties; he likens the area to Bangsar. However, with the prices of landed properties trending upwards, many of the locals are looking to move into high-rises, of which there are very few in the area, he points out. 661 Chapel St has a gross development value (GDV) of A$146 million and offers 169 apartments with built-ups of 41 to 266 sq m. There are three design layouts: 1-bedroom (indicative selling price: A$540,000), 2-bedroom (A$950,000) and 3-bedroom (A$2.6 million). The kitchens of the apartments will be fitted out with cabinets and appliances, such as dishwasher, cooktop, range hood and oven. The bedrooms will be carpeted while the rest of the floors will be timber. Six levels of the tower, including one basement, will house 129 parking bays while, according to Chow, there will be two high-speed car lifts to deliver the residents and their vehicles to the correct parking floor. He adds that most of the 2-bedroom and 3-bedroom units will have a parking bay as part of the purchase. Amenities include a covered drop-off area that also acts as a buffer from the street. Meanwhile, the lobby has a double-volume ceiling and a library setting, which will allow people to mingle and hold casual business meetings. Level 6, which is just above the parking space, is where the residents can socialise. There will be a 25m pool cantilevered over the covered drop-off area, a spa, a resident’s lounge and gym, a steam room and sauna, a 20-seat theatre, two private dining rooms, a wine room and a barbecue area. There will also be two sky gardens — one on Level 22 and the other on Level 27 — with barbecue facilities. Directly opposite the high-rise is the Malcolm St tram station and about a seven-minute walk away is the South Yarra railway station, which is two stops away from the Flinders St railway station in Melbourne. At the KL launch of 661 Chapel St, all 169 units will be up for sale. The launch Down Under will be held in September, although the Australians can buy the units at the KL launch this month, says Chow. Melbourne continues to create concern about the ability of the rental market to absorb rapid new stock additions”. Though the situation is not critical yet, is Gamuda Land’s plan to build a high-rise in Melbourne a good idea? Chow believes 661 Chapel St will not be affected as it is in a good location and is a low-density development unlike those in the city centre. “We are not looking at [developing] a very high number of units. Our project has only 169 units, so you can imagine there are not many to sell; the project is quite exclusive,” he says. This RM628 million project is coming up on a five-acre freehold parcel and features two identical towers. Each of them has two conjoined sections, one 33 storeys high and the other 29 storeys. However, the sections share a common lift core. This high-rise is currently certified provisional gold by the Green Building Index (GBI). Housing 512 units, the South tower will be launched first while the North tower, also with 512 units, will be launched at a later date. There are four unit types: Type A (total number: 260; built-up: 452 sq ft), Type B (204; 603 sq ft), Type C (36; 743 sq ft) and Type D (12; 840 sq ft). Design-wise, some of the units are dual key while others are duplexes. The selling price starts at RM900 psf while the service charge is between 52 and 55 sen psf. Apart from the above, there are also 19 cabana units. Nine of these will be on Level 7, which is where the elevated park and facility podium are located, and the rest on Level 10. 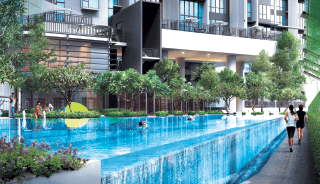 Their built-up ranges from 495 to 1,001 sq ft and their price from RM470,000 to RM880,000. It is worth noting that Gamuda Land is offering a deferred payment programme for buyers of HighPark Suites. “You pay a 5% down payment and sign the sales and purchase agreement. Then over the next 30 months, you pay about 1% every two to three months until you reach 15%. And before the completion of the project, you pay the remaining 80% through a bank loan or other means,” says Chow. He adds that during the 30-month period, the buyer could save enough for him or her to take a smaller bank loan. The three-acre The Robertson is another high-rise development by Gamuda Land in Kuala Lumpur. HighPark Suites’ facility and park podium on Level 7 covers 2.66 acres. It comes with a 1km jogging track and another 29 features, such as a 50m swimming pool, aqua gym, children’s playground and putting green. The other facilities include a reading area, herb garden and maze garden. There will also be free WiFi for residents and visitors. Level 18 of the towers offers the Sky Court, which is ideal for meetings, and an outdoor lounge while the Sky Deck with hammocks for the residents is on Level 21. On Level 22 is the Sky Pavilion, which acts as a viewing deck, while the Sky Terraces or gardens are on the very top of the towers. Gamuda Land is targeting the high-rise at young local urbanites as well as empty nesters, says Chow, adding that the elevated park is designed for healthy living and does away with safety and traffic problems. Parking-wise, HighPark Suites has 1,919 bays. While some investors may be put off by the small units of the development, Chow says they cater for residents who want to work, play and live comfortably. To enhance the liveability of the project, there will be 43 retail lots with a net lettable area of 22,000 sq ft, which Gamuda Land will operate to ensure the tenant mix is controlled. According to Victor Lim, managing director of iProp Realty, apartments in Kelana Jaya and elsewhere in Petaling Jaya are always in demand. However, the price has to be right, he says. HighPark Suites has a central location with good amenities nearby, like malls and a Giant hypermarket, as well as good connectivity, he points out. HighPark Suites may seek to meet the demand for healthy living but the issue at hand is the soft property market. Is the timing right for its launch? “Granted, the property market is soft. But this is not the first time we are going through a down cycle … What is more important is that we need to take this opportunity to create a good payment scheme to help people who want to own property, an easy scheme to enable them to commit,” Chow explains. The above two projects aside, Gamuda Land has another five in the pipeline that will keep it busy beyond 2017. The total estimated GDV of these projects is RM28 billion. By the end of the year, Gamuda Land will launch the first of five towers in its condominium project in Bukit Bantayan, Kota Kinabalu. 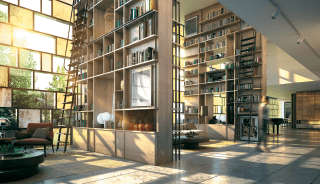 The RM750 million condominium that will sit on 19 freehold acres offers a total of 1,500 units. The average price, according to Chow, is RM500,000. Sirim is Malaysia’s research and standards development organisation under the auspices of the Ministry of Finance Inc.
Next year, Gamuda Land is developing GBI-certified townships in Rawang, called Seri Serai and Serai Springs. The former is an 800-acre project with a GDV of RM4.7 billion while the latter is coming up on 89 acres and has a GDV of RM515 million. In 2017, two townships are planned in Kuala Langat — the 1,530-acre Tanjung 12 with a GDV of RM19 billion and the 257-acre KK 257 with a GDV of RM2.6 billion. Also to feature in 2017 is a 250-acre project in Kota Kemuning, the land for which Gamuda Land recently acquired. Further details are forthcoming. This article first appeared in City & Country, The Edge Malaysia Weekly, on June 22 - 28, 2015.